COMPETITION Live events sector The Competition Commission (CC) has formally cleared the completed acquisition by AEG Facilities UK (AEG) of the contract to manage Wembley Arena. In its final decision, the CC has concluded that the merger would not result in a substantial lessening of competition in the markets for the provision of venue space to promoters, provision of sponsorship opportunities or the provision of other event-related services such as catering, confirming the Commission’s preliminary ruling, published in July. Wembley Arena was previously operated by Live Nation Entertainment. AEG is the current operator of three indoor live entertainment venues in London: The O2 Arena, the Hammersmith Apollo, and IndigO2, and has been recently awarded a five-year contract to deliver summer concerts at Hyde Park. Following the merger, AEG will operate the two largest London indoor venues: The O2 Arena and Wembley Arena. AEG is also a promoter, AEG Live (UK) Limited, and owns a ticketing service, AXS.com. Martin Cave, CC Deputy Chairman and Chairman of the AEG/Wembley Inquiry Group, commented: ‘AEG’s opportunity to increase venue hire prices would be limited because factors such as capacity, availability, brand, reputation and personal preference are more important to acts booking the venue…. 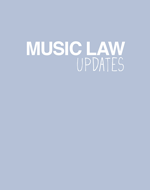 COMPETITION Record labels, music publishers The European Commission has granted approval for the sale of the Parlophone Label Group to Warner Music. When it acquired EMI last year, Universal Music was forced by competition regulators to sell the Parlophone Label Group – which includes the UK-based Parlophone frontline label and catalogue, some more British EMI archive, and EMI operations in various other European markets – and it was announced that Warner would buy it in February in a £478 million deal. Beggars boss Martin Mills told Music Week: “This is good news for the market, and goes some way towards mitigating the concerns raised by Universal’s EMI acquisition, which we are already seeing become reality. As the clearance says, the strengthening of both Warners and the independents, as a consequence of Warner’s agreement with IMPALA and Merlin, should go some way to counter the power of Universal – and the existing duopoly of Universal and Sony – to unilaterally determine the shape of the marketplace. The consequent strengthening of the independent sector as a whole should be especially welcomed”. And BMG’s acquisition of the EMI publishing catalogues Sony/ATV was forced to sell has also been approved by European regulators….